Exercise Your Brain! 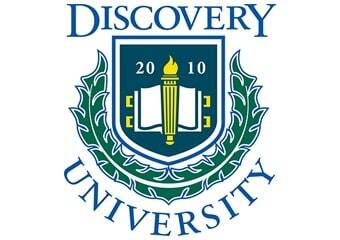 Stay mentally fit at Discovery University, our free ongoing lecture series at the The Summit. 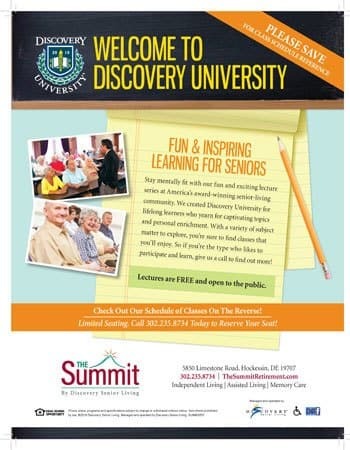 Open to the public and residents alike, Discovery U is a lifelong-learning program that offers thought-provoking topics for personal enrichment. Learn, socialize and participate in engaging discussions. 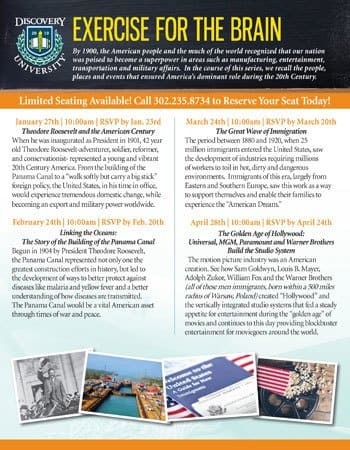 With a variety of subject matter to explore, we're confident you'll find a class that you'll enjoy and find useful.